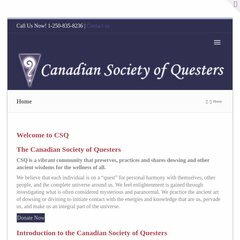 Topics: Csq Chapters, Events For Each Chapter), Book, Spring, & Fall. It is hosted by Mecca Internet Solutions Ltd (British Columbia, Vancouver,) using Apache/2 web server. Its IP Number is 64.69.93.68. PING (64.69.93.68) 56(84) bytes of data. A time of 59.9 ms, is recorded in a ping test.